The United States went into their World Cup qualifier against Trinidad and Tobago knowing they needed a win. Style points would be nice, but three points was the key. And thanks to Christian Pulisic's two goals, that's exactly what they got. What were the takeaways from the Americans' 2-0 win? How many times can you be impressed by the kid? Pulisic played and he was one of the Americans' best players ... again. Yes, he's only 18 years old, but whatever -- the key is that he's a star for this team already. As was the case in March, the only way defenders could stop him was to foul him and the referee did little to protect Pulisic, but the teenager was still a danger every time he touched the ball and he got onto the score sheet with two more goals. He's the real deal (we said for the 100th time). The Americans were not clinical, by any stretch. Jozy Altidore wasted a couple opportunities early on and, frankly, they had some issues in the midfield and defense too. It wasn't a performance that Bruce Arena is going to love. But it was a fairly comfortable win over a team that they should beat, especially at home. That the U.S. is starting to rack up comfortable wins over inferior teams again is huge for this team, and even more so that they can do it even when they're not sharp. 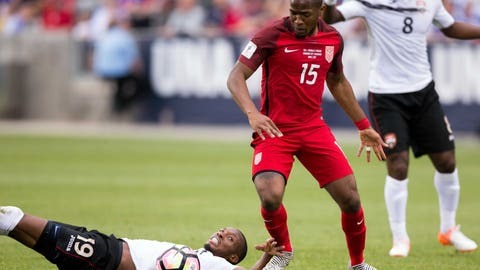 In the last couple years under Jurgen Klinsmann, beating other CONCACAF teams on U.S. soil stopped being a guarantee, and the Americans built their regional dominance on their ability to beat lesser teams. They're back to it now -- even when they can be better. 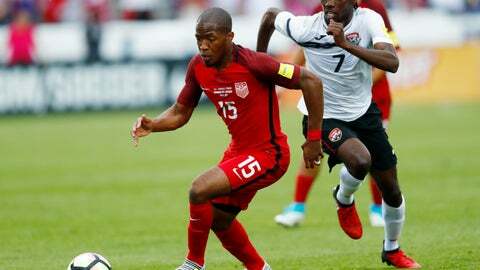 This was Darlington Nagbe's best game for the U.S.
Nagbe has always been talented and skillful, but in MLS and for the U.S., he hasn't always been able to turn that into consistent impactful play. Even as he's improved for the Timbers over the last couple years, it wasn't always there for the national team. On Thursday, though, Nagbe was a constant threat. He gave Trinidad and Tobago fits, running at them, breaking them down with great passing and staying constantly on the move so they couldn't track him. 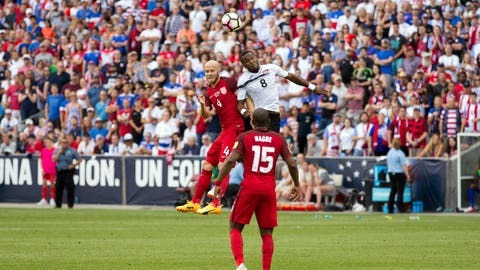 It was everything that people have dreamed Nagbe to before the U.S. -- a creative threat from start to finish. Oh, and then his pass on Christian Pulisic's first goal. It was a hell of a night for Nagbe. DeAndre Yedlin's growth over the last two years -- first with Sunderland and then with Newcastle -- has been tremendous and he's no longer a defensive liability. Combine that with his speed and the Americans have a very nice right back. Meanwhile, Bruce Arena finally called Jorge Villafana in at the start of the year -- why Jurgen Klinsmann didn't give him a look was never clear -- and he's made the left back spot his own. Against Trinidad and Tobago, Yedlin and Villafana were two of the Americans' best players. They were defensively sound and flew up the pitch, hitting some good crosses, but more importantly, helping in possession, stretching the T&T defense and making it tough for the visitors to counter. The U.S. have long struggled to get competent fullback play, but right now they're getting outright good showings from theirs. Jozy Altidore got on the end of a few good passes, but they were coming from the fullbacks. Meanwhile, he got nothing from Christian Pulisic and Clint Dempsey. In the first half, neither completed a single pass to the American striker. And Pulisic didn't complete a pass to Dempsey either. Things got better in the second half and Altidore had a great pass on Pulisic's second goal, but it still wasn't great. 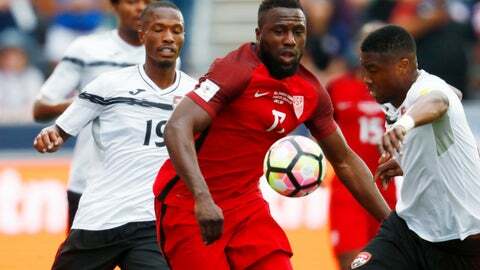 The Americans' inability to find their strikers through the center, especially Altidore, was a huge problem. Even though the U.S. plan was clearly to get the ball wide, it's unlikely they wanted to get the ball to Altidore exclusively from out wide. That missing connection really limited the American attack. 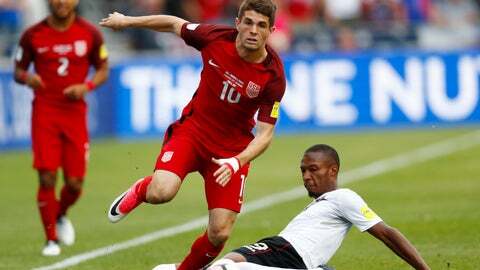 Obviously Christian Pulisic was amazing, and we talked about Darlington Nagbe's great game. The fullbacks, DeAndre Yedlin and Jorge Villafana were also excellent, as mentioned. But what go all those players have in common? They're relatively young and/or new to the team. Pulisic is only 18 years old and Yedlin 23. Villafana just made his U.S. debut earlier this season and Nagbe, at 26 years old, is in his first World Cup qualifying cycle. Those four players were the most inexperienced players in the U.S. starting lineup, and they were their best. 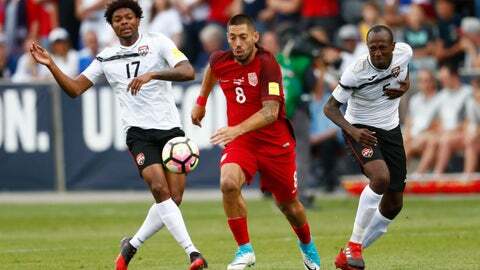 Dempsey figured to be a bench option for the U.S. as recently as March, but injuries forced him into the starting lineup and he notched a hat trick against Honduras so that thrust him back into the first team. But now Dempsey has struggled against Venezuela in a friendly last week and again against T&T, with a handful of really sloppy touches. 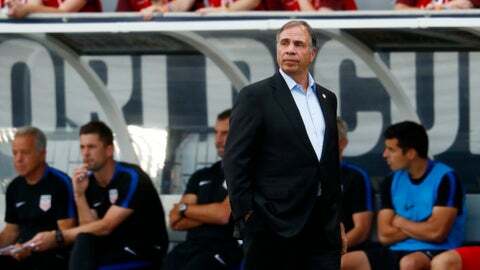 He then clashed with Bruce Arena on the way off the field. The 34-year-old is still a clinical finisher, but should he continue starting for the U.S., or should he be a supersub like Arena envisioned earlier this year? All that matters to the U.S. this month is World Cup qualifying against Trinidad and Tobago, then Mexico. But while they certainly can get a result in Mexico City, they're not favored to and, frankly, don't have to for their World Cup qualifying hopes. What they had to do was beat Trinidad and Tobago, which they did. The Americans now go to Mexico with a chance to have a great June, either by winning or drawing, but what they needed was three points on Thursday and they got it. They're back in the driver's seat for a spot in the World Cup now.